"Daddy, why do we have a Christmas tree at home and a Holiday tree at school?" 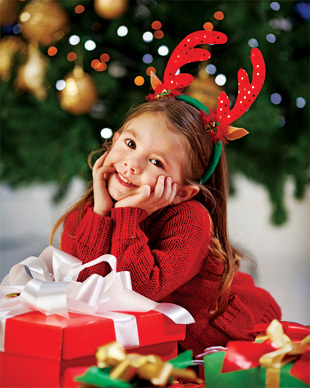 The Texas Legislature recently passed the Merry Christmas Bill in 2013. This new law protects Texan's right to acknowledge traditional winter holidays on school grounds. Whether it's Christmas or Hanukkah, our children, teachers, parents and school administrators should have the freedom to acknowledge these traditions in our public schools without fear of censorship, punishment, persecution or litigation. The Merry Christmas Bill guarantees that freedom. We hope other states will follow and pass similar laws of their own — but we need your support to spread the word across the country! "I don't have any children in school nor grandchildren yet. However, I do remember what it was like during Christmas as a child. It was a wonderful time. We always went to my Grandparents home on Christmas Day. I remember saving my money all year to be able to buy presents. Trying to guess what was in the Christmas presents under the tree was such a part of the excitement. And, helping decorate the tree with popcorn strings was a lot of fun. Everyone said Merry Christmas in those days. All the stores were decorated for Christmas, many with nativity scenes. It was a wonderful time. I wish it was still that way." Want to join our fun? Thinking of white elephant gift ideas? Get familiarized with white elephant rules, grab some white elephant gifts and join our party! It's sad to see that time has come where something that we hold so dearly needs to be protected : Christmas... But what needs to be done, must be done. Let's fight to preserve tradition of Christmas in our communities. Join our volunteers, bloggers and passionate Christmas enthusiast around the world to protect What is so dear to us: Christmas traditions and our right to celebrate!